A suspect is in custody in connection with the shooting near Penn Station Monday morning that left one man dead and two men injured, police say. Authorities had issued wanted posters featuring the face of 27-year-old Vincent Arcona following the shooting that stemmed from an argument inside a McDonald's at West 35th Street and Eighth Avenue. Police said Arcona was being taken to a police precinct Thursday morning. The circumstances surrounding his apprehension weren't immediately known. 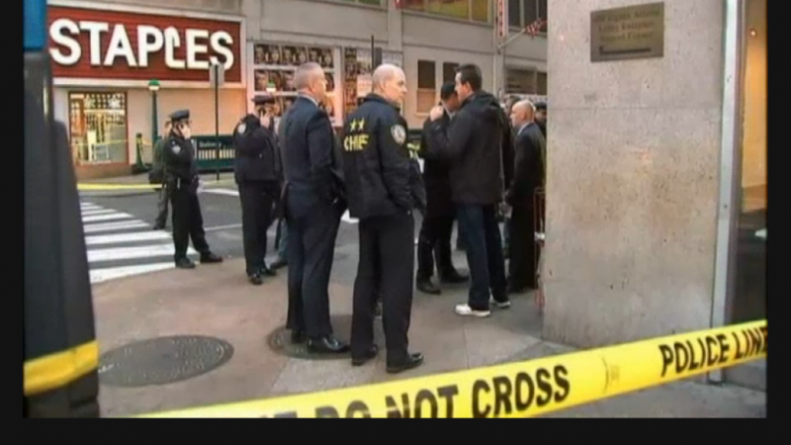 Authorities say that the three victims, all men in their 40s, were drinking coffee when a heavy-set man in a black hooded sweatshirt engaged them in a brief conversation, left the restaurant and then waited for them to exit, following the group into a subway station, where he fired four times, NYPD Chief of Detectives Robert Boyce said. A 43-year-old man shot in the neck was pronounced dead at the scene, officials said. A 45-year-old shot in the neck and stomach and a 48-year-old man shot in the thigh were taken to Bellevue Hospital, they said. The 45-year-old man was listed in critical condition later Monday. All three victims had lengthy arrest records for mostly drug charges, an official familiar with the investigation told the Associated Press. Two men who attend a nearby methadone program at the West Midtown Medical Group, about half a block from the where the shooting took place, said they knew two of the victims. They said both men came to the clinic for years.